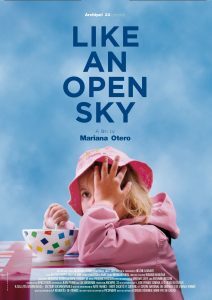 We will be screening Mariana Otero’s acclaimed documentary ‘Like an Open Sky’ (A Ciel Ouvert), which follows a group of children at Le Courtil, a Lacanian-oriented institution for psychotic and autistic children and adolescents on the border of France and Belgium. The documentary shows the interactions between staff and children, the nature of psychosis, the psychosis/neurosis distinction, and how psychoanalytic treatment is approached in a singular way. It is a crucial viewing for anyone with an interest in psychosis, or anyone curious about subjectivity in general and the possible responses to it. The screening (French with English subtitles, 113 minutes) will be followed by a discussion. No previous knowledge of Lacanian theory necessary.